Death*: He died in September 2017 at Paradise, Maricopa County, Arizona, USA, at age 81; Paul S. Gerding Sr. age 81 of Paradise Valley, AZ formerly from Glencoe, IL. Beloved husband of Ellen Gerding nee Rohde; loving father of Paul S. Jr. (Jill), Keith R. (Heather) and David J. 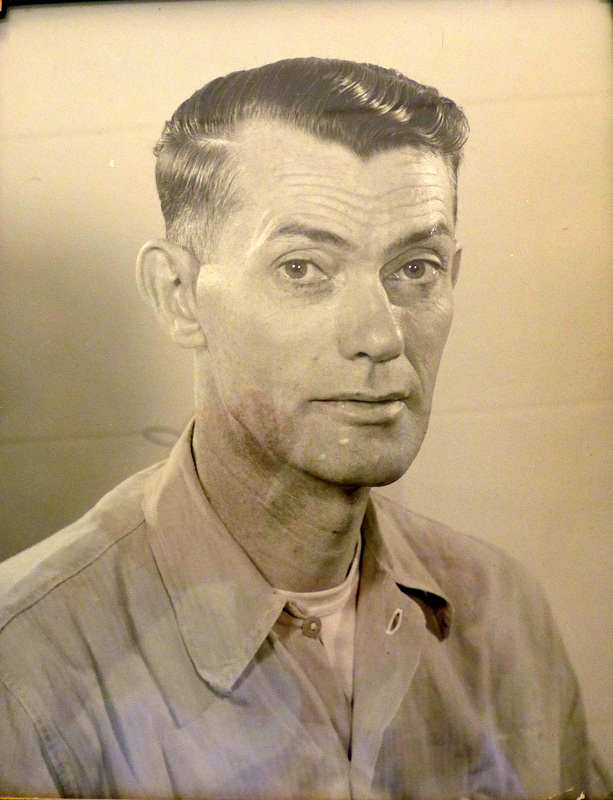 (Sandra) Gerding; proud grandfather of Reilly, Hope, Kate, Tyler, River, Gage and Mars Gerding; dear brother of John (Shirley) Gerding; brother-in-law of Joanne Gerding; fond uncle of Joseph (Dawn), John (Jenny), Christopher and Julianne Gerding. Mr. Gerding was a graduate of Loyola University Chicago and attended University of Michigan Law School where he graduated JD with Distinction, Order of the Coif and served as an editor of the Michigan Law Review. He enjoyed a practice spanning 52 years of corporate litigation in the areas of commercial business litigation and governmental regulatory compliance. He was partner in firms in Chicago, assistant general counsel for Baxter Healthcare Corporation and most recently a partner with Kutak Rock.His civic and philanthropic work included pro-bono counsel and serving as President of the Glencoe Board of Education, trustee of the Village of Glencoe, Chairman of the Charitable Unit of the American Cancer Society of Chicago, Chairman of the Institutional Review Board of the Arizona Heart Hospital, as Vice-Chair of the Board of Directors of the Arizona Heart Foundation and was appointed to the Arizona Medical Board in 2014 by Arizona Governor Janice K. Brewer. Visitation Friday, September 29, 2017 5:00 p.m. to 8:00 p.m. at Donnellan Family Funeral Home, 10045 Skokie Blvd. at Old Orchard Road Skokie, IL 60077. Funeral Mass Saturday September 30, 2017, 10 a.m. at Sacred Heart Church 1077 Tower Road Winnetka, IL 60093. Interment Sacred Heart Cemetery, Northbrook. In lieu of flowers memorials may be made to American Cancer Society www.cancer.org. Info www.donnellanfuneral.com or (847) 675-1990. [S1716] Joseph R. Sullivan, "Gerding-Sullivan Family Group Sheet." [S2231] Joseph R. Sullivan, "Kubin-Rudisher Family Group Sheet." [S1006] Illinois Statewide Death Index (1916-1950), John Geringer, died July 4, 1932, certificate no. 0560188, accessed September 10, 2015. Marriage*: She married Nicholas Duggan. [S486] Jennie Sullivan, Illinois Standard certificate of death. [S7] Ruane/O'Donnell Family Tree, Received May, 1997 Elaine McIntyre Beaudoin, personal files. [S692] Interview, Various dates Gilger, Sally Ruane, personal knowledge, Lunch with Sally Gilger, Celtic Knot, April 28, 2006. [S692] Interview, Various dates Gilger, Sally Ruane, personal knowledge, Lunch with Sally Gilger, Keltic Knot, May 3, 2007. [S2181] U. S. Social Security Applications and Claims Index, 1936-2007, online www.ancestry.com, William Gilger, SSN 727072899. [S1752] Ireland, Civil Registration Indexes, 1845-1958, online FamilySearch.org, William Gilger, Vol. 4, Page 88; Family History Library MF 101074; FamilySearch.org accessed 21 March 2015. [S1752] Ireland, Civil Registration Indexes, 1845-1958, online FamilySearch.org, William Gilger, Oct. - Dec. 1912, Vol. 4, Page 88; Family History Library MF #101074; FamilySearch.org accessed 21 March 2015. [S1002] U. S. Social Security Administration, William Gilger, 25 November 1995, Railroad Board, Cook County, Illinois; accessed March 18, 2015. [S2026] William Gilger, Pan American Airways Flight 101/11 Airline Passenger Lists, August 12, 1947; Accessed March 20, 2015. [S665] Elaine Beaudoin's personal knowledge Elaine McIntyre Beaudoin, personal files, Conversation with Sally Gilger, February 5, 2013. [S2317] Family History in North Mayo, Ireland, online www.goldenlangan.com, Bofeenaun Cemetery Headstones, www.goldenlangan.com/graves-bo.html. Marriage*: Nora Gill married Thomas McHale. [S610] Marriage Register: Holy Name Parish Records, Marriages 1908 - 1913, Chicago Irish Families, 1875-1925, Accessed February 18, 2006. [S698] 1900 US Census, Illinois, Cook County, Chicago, Washington, DC, ED 480, Sheet 10, Ward 15, Ancestry.com; accessed May 2, 2006. [S2289] Chicago Tribune, March 30, 1914, Chicago Tribune Historical Archives online; record number 19140320dn011, Accessed April 28, 2006 at Family History Library. Death*: He died before 30 March 1914 at Chicago, Cook County, Illinois, USA. GINNAN - John Ginnan, beloved husband of Mary, nee Madden, father of Mamie and Kathleen Ginnan, brother of Capt. Edward J., Patrick, William, and Mrs. John Haggerty, Mrs. Edward Dobertine, and the late James Ginnan. Funeral from his late residence at 3333 Evergreen av., Tuesday, March 31, 1914, at 9:30 a.m. to Maternity church. High mass. Automobiles to Mount Carmel. Member of Annunciation courts No. 28, C. O. F.
[S693] Chicago Tribune, September 24, 1950, Chicago Tribune Historical Archive; Record Number 19500924dn064. [S698] 1900 US Census, Illinois, Cook County, Chicago, Washington, DC, ED 480, Sheet 10, Ward 15.